Back from my mini Vacay! Just drove to Ontario to visit Dad for Thanksgiving. I was dodging fires, deer and road construction! Such a non-relaxing drive LOL My neck is still sore from gripping the wheel so tight LOL. 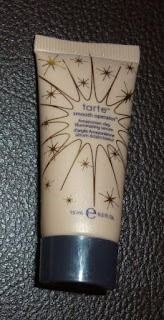 Tarte’s Smooth Operator Amazonian Clay Illuminating Serum also came as deluxe sample in my Tarte Radiant and Rested Kit. The deluxe sample came in a squeeze tube .5 oz. The full sized version is 1.7oz. 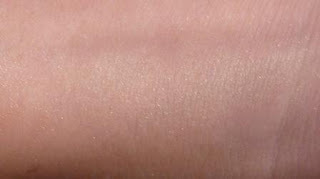 It is a luminizer that is supposed to minimize oil and nourish dry skin. It too has Amazonian clay, vitamins A, C, and E and has Chamomile Extract to help treat dry and damaged skin. Well at first I was confused on how I was supposed to use this stuff. It says to use on its own or mix with your foundation. Huh? So I applied it to my face after my primer and before my L’oreal Age Defying foundation. I do not what I expected but I did not notice anything particularly different about my face that day. So that was a bust. 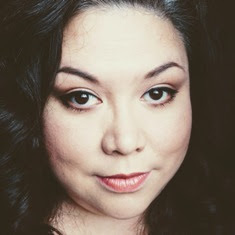 So I put it away for awhile while I played around with the shimmering powder. Then I pulled it out again and thought I would try it IN my foundation. This time I mixed it with my Revlon ColorStay foundation. 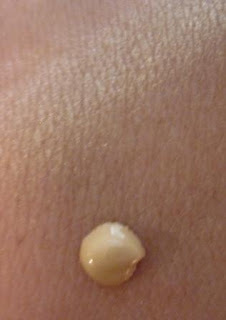 I put the foundation on the back of my hand and then put a squirt about ½ the size of a pea right on top of it. Mix, mix ,mix and then I stippled the concoction on my face. At first I didn’t really notice anything but when I got to work and checked out my face I noticed it had a little vibrancy to it. Dewyish... HMMM interesting. I have also use this on top of my completed makeup, patting a bit on top of my cheekbones, middle of my forehead and top of cupids bow. I do like using it this way a lot. So easy. Out of these two Tarte highlighting products from my kit, I prefer the Smooth Operator, but I am not sure I would spend $42 CDN ($32 USD) on it though. It is not at WOWZA can’t live without product. If it was cheaper yeah I would get it but not for $42. I am sure there is a dupe out there ...maybe... we will see how I feel when the tube is done LOL.